Welcome to my Wildlife Art Blog………..
Just a little about me ….. I am a wildlife artist, living in the united kingdom. I regularly exhibit in the Juried National exhibition of wildlife art, Marwell international art exhibition and the Society of wildlife art exhibition. 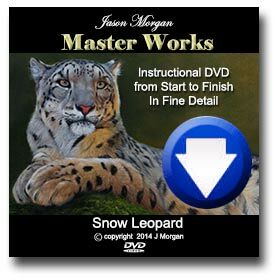 I have most recently been made a signature member of the Worldwide Nature Artists Group – WNAG. I don’t know why I have this all encompassing desire to paint wildlife…….. perhaps I will never know, but when I am painting, then nothing else exists. I am right back at the scene where I first saw my subject. Back with the lions of the dry savannah of Savuti or the elephants in the lush vegetation of the Okavango Delta…… It’s almost as if time stands still as I relive my memories through painting…. My love of animals has been there for as long as I can remember, along with my desire to draw and paint, so looking back it now seems inevitable that I would become a wildlife artist. I strive to paint wildlife as accurately as I can, so where possible I like to see the animals in their natural environment, and this has, of course, lead to some very exciting journeys and experiences. For some you need more nerve than others. ha…………. Such as standing only 30 foot away from a female elephant in moonlight, sitting in an open sided jeep with a pride of lions just 10 feet away, or even fishing waist high in the Okavango Delta. It’s these exhilarating and very personal experiences that I believe help me so much in my portrayal of wildlife in it’s natural environment. It’s the hidden things that you can truly only experience by being there in person. I, like many, wildlife artists, am involved with conservation. It seems so common these days that a wildlife artist is involved in conservation that it has almost become a cliché, and sometimes I hesitate to mention my own involvement, but conservation does need to be brought to the public attention and the more that become involved the better for the wildlife. To date my involvement has been with two organizations – both excellent in their own right – the AWF (African Wildlife Foundation) and the DFGF (Dian Fossey Gorilla Fund) I can certainly vouch for them both. Over the last year or two I have become close friends with some of the organizers of Dian Fossey Gorilla Fund and I can honestly say that I have never met more honest or harder working individuals, with such a strong desire to save animals in my life….your money would certainly do a great deal of good with them or the AWF. 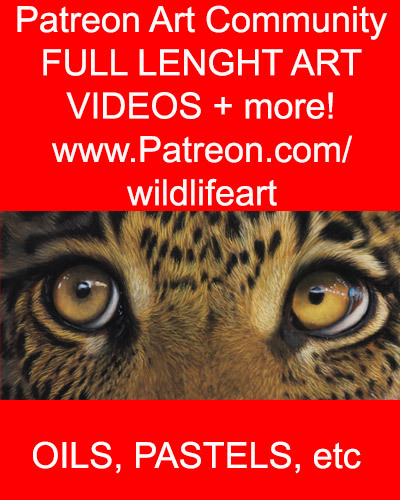 12 Responses to Welcome to my Wildlife Art Blog………..
You are a gifted artist! Any one can paint images, very few can capture the soul of the life they paint. You can. Great work! I have a passion for tigers. Your paintings are the best. They look so real I expect them to roar at any time. Best wishes for a long life of painting. You are a wonderful artist with an eye for all the details. I have never seen such beautiful work as the art you create! I enjoy visiting your website to see what you are painting next! Just wanted to say how much I admire your work. It really is first class. I am also an artist, wildlife being one of the subjects I portray. Your work is an inspiration to me. Keep it up. Hi Jason, I have to tell you that I am in awe of your work. The paintings are so vivid and alive. You are one of my favorite animal/wildlife artists. I love the realism to your paintings. I can’t wait to see more. I am curious to know, will you market your work into collectibles, ie mugs, placemats, whatever. I know that is soooo commercial, but it would get your art out there to so many more that have not found your art and do not have access to your work. Just a thought! WOW! Your paintings look like photographs. They’re the best I’ve seen. I had to order your CD. I wander how can i so good in painting like you. Oh my gosh! your art is beautiful! i personally love animals and i draw at times and to me to look at your art is to look at real photograph. i wish i could paint as well as you.!. Thanks for sharing your art with me and everybody else. Sorry to leave another comment but do you by chance have a newsletter or anything to say when you have another painting done? Well as i said before your paintings are the best i have ever seen. Do you sell your art to like hang in rooms or something? Because if you do your going to make quite a big profit off me and by the comments of others them too. Thank you for posting Aly and the really nice comments.